It’s the end of an era for Freddie Wong. His production studio Rocket Jump has officially finished a three-season run of its wildly popular web series Video Game High School. 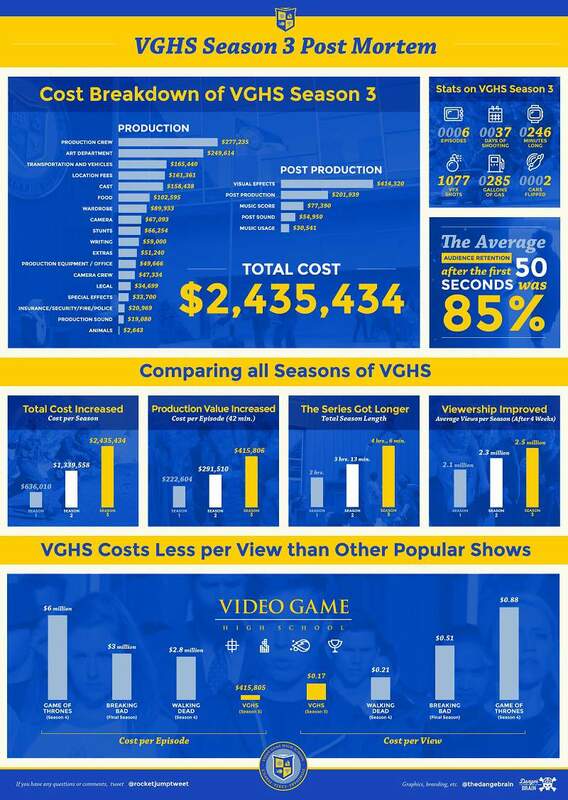 Six months after premiering the VGHS series finale, Wong has released an infographic on budgetary spending, centered solely around the $2,435,434 production cost of VGHS season three. In the past, Wong and Rocket Jump have released similar infographics outlining the cost for season one (which cost $636,010 to make) and season two (which cost $1,339,558). With season three’s infographic, Wong clearly details exactly where he spent all that crowdfunding money from Indiegogo supporters (as well as all the other funds he used to supplement the VGHS budget). The bulk of expenditures can be attributed to, unsurprisingly for the nature and topic of VGHS, post-production visual effects ($414,320). Next up was the production crew at $277,235, and then the art department at $249,614. And while overall, VGHS cost much less to make than a traditional television series like Breaking Bad, the web series’ cost per view was only four cents short ($0.17) of The Walking Dead’s season four $0.21 cost per view. Wong also noted how his team ultimately worked to make the best possible series with the amount of financing they had. “People are often surprised at how much goes into creating a show, and while VGHS has never had the luxury of budgets even remotely approaching typical network television content, we’ve always felt that we’ve done a lot for very little,” he explained. Wong’s fans have certainly appreciated everything Rocket Jump has done with VGHS. Though the third season was almost an hour longer than the second, the VGHS season three infographic shows the average views hit 2.5 million after four weeks, up from season two’s 2.3 million. 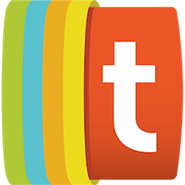 The average retention rate after the first 50 seconds of a season three episode hit 85%. And as a whole, all three seasons of VGHS now boast a collective 110 million views. 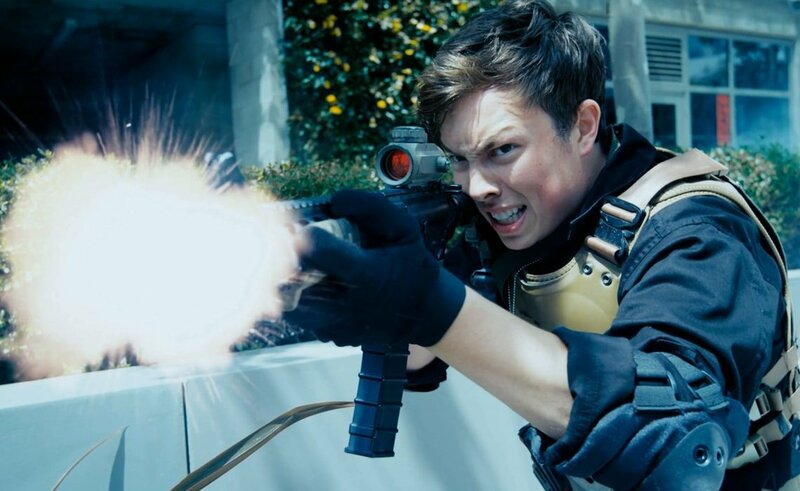 You can check out all of Wong’s VGHS season three wrap-up post on Rocket Jump’s official blog. And, of course, you can watch all of the series’ third season on the production company’s YouTube channel.